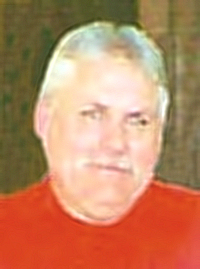 Obituary – Richardson, Lonny Wayne « Perry High School Alumni Association, Inc.
Lonny Wayne Richardson, 62, of Perry, Oklahoma passed away June 8, 2018 in Perry, Oklahoma surrounded by his loving family. Visitation will be 9:00AM to 8:00PM, Wednesday, June 13, 2018 at Dighton Marler Funeral Home. Services will be held at 2:00 PM Thursday, June 14, 2018 at the Dighton Marler Funeral Home Chapel of Perry. Interment will follow at the Sumner Cemetery in Sumner, Oklahoma. Lonny was born August 31, 1955 in Coalgate, Oklahoma to William and Loretta (Fritz) Richardson. 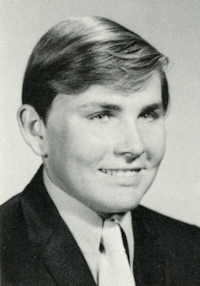 Lonny grew up in the Oklahoma City area and moved to Perry at the age of 16 and graduated from Perry High School in 1972. Lonny married Susan Gutowski on June 26, 1976 at Ceres Christian Church in Ceres, Oklahoma. Lonny enjoyed target shooting and loved his firearms. He did a lot of hunting and fishing with his father as a young man. He loved spending time with his boxer, Makenna. His family meant everything to him and he loved spending as much time as he could with his wife and kids. Lonny is survived by his wife, Susan Richardson of the home; two sons; Travis W. Richardson and Dawn Canaday of Perry, Oklahoma, Jeff A. Richardson of Stillwater, Oklahoma and their beloved Boxer Makenna. Two sisters Karen (Sis) Biaglow and husband Jim of Clarksville, Tennessee and Lora Richardson, one niece and four nephews. He is preceded in death by his father Wayne Richardson; grandparents Heston and Valene Richardson and Leo and Ruby Fritz. Pallbearers are Craig Boyd, Mark Harman, Lane Harman, Coby Boyd, Dusty Boyd, and Kyle Reaves. Memorial contributions can be made in his name to St. Judes, Perry Humane Society or The Boxer Rescue of Oklahoma, c/o Dighton Marler Funeral Home, 203 E. Fir, Perry, Oklahoma 73077.